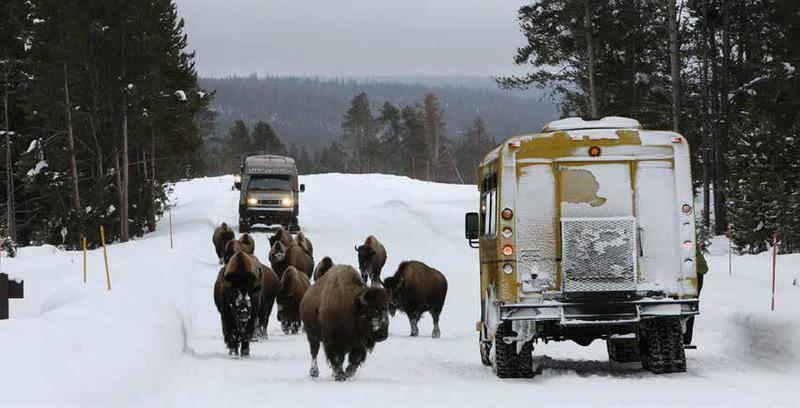 All this snow means roads have closed early in Yellowstone National Park. As of Friday, only the stretch from the North Entrance at Gardiner to Cooke City remains open. Much of Montana is under winter weather advisories Friday and Saturday, and that means a lot of snow. Todd Chambers is a meteorologist with the National Weather Service. "Areas in the south, we are looking at anywhere from three to 6 inches of snow with some of the mountains seeing 2 feet. And getting further north and you’re looking at four to 8 inches of snow across the lower elevations and again up to a foot in those mountain locations," he said. "There’s going to be plenty of snow across the area. The area that may skip out a little bit be the far eastern Montana. It looks like they’ll get the cold air and not so much the snow. Most of the snow is going to be hugging the foothills in the center of the state." Chambers says Montana will also see some of the coldest weather yet this season, with lows dipping into the teens and single digits. All this snow means roads have closed early in Yellowstone National Park. At this time, only the stretch from the North Entrance at Gardiner to Cooke City remains open. Officials warn those roads could be closed all weekend and into Monday, when most of the park roads are scheduled to close down for the winter.